Matthew Peyton / StringerKate Spade and her husband, Andy Spade, ran two businesses together at different times. 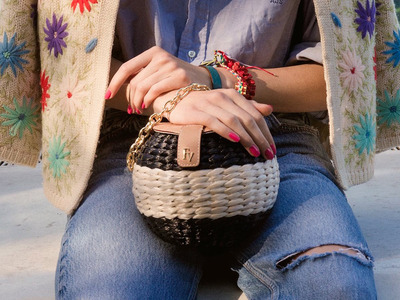 Kate had not been part of her namesake handbag label for more than a decade, but she was at the helm of a new accessories business she and Andy founded in 2015, called Frances Valentine. Soon after news broke last week of Kate Spade’s death by suicide, several fans began posting messages on social media to celebrate her work in fashion, sharing memories of the first time they bought a Kate Spade handbag and how her designs had touched their lives. Some even dashed to Kate Spade New York stores to buy handbags. But not all would have realised that Spade hadn’t actually been associated with her namesake label for more than 10 years, as for many she is – and always will be – the name and face of the brand. “When you think of the Kate Spade brand, you automatically have a picture of Kate Spade in your mind,” Lizzy Bowring, the catwalks director at the trend-forecasting company WGSN, told Business Insider. 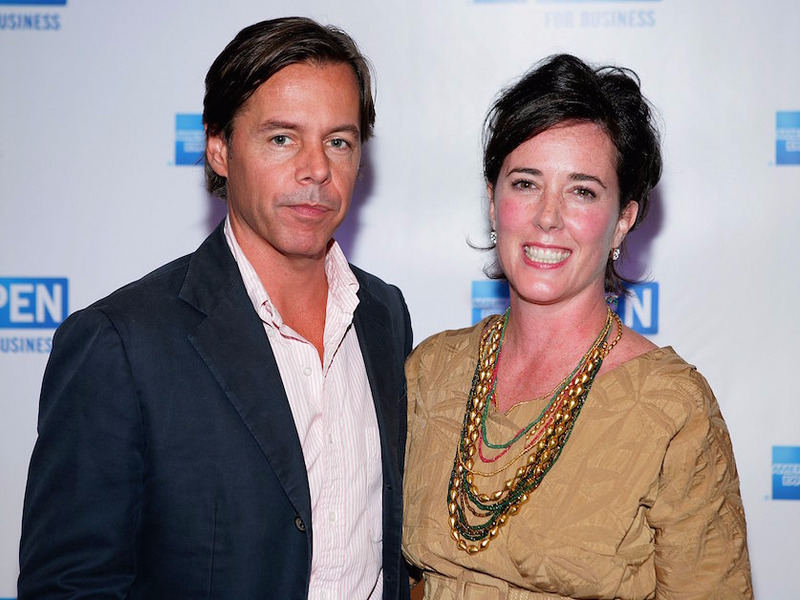 Spade launched the brand in 1993 with the encouragement of her future husband, Andy Spade, who quit his job to run the company with her in 1996. They had married in 1994, and the brand name was a combination of her first name and his last name. The couple stayed out of the fashion world for almost a decade. Andy returned to advertising, and Kate dedicated her time to bringing up their daughter, Frances Beatrix Spade, now 13. But in 2015, the couple reentered fashion with the launch of a new handbag-and-shoe brand called Frances Valentine, named after two of Kate’s relatives. As a mark of the new era she was entering, Kate changed her name to Kate Valentine. For many, Spade will always be the face of a brand that she hadn’t had creative direction of for more than a decade. It is telling that even in the wake of her death, she has rarely been referred to as Kate Valentine. This puts Kate Spade the brand in a complicated position. Facebook/Kate SpadeThe Kate Spade brand posted this tribute to its founder. In a statement to news outlets, the company clarified that neither Kate nor Andy had had a role in the brand for the past 10 years. “Although Kate has not been affiliated with the brand for more than a decade, she and her husband and creative partner, Andy, were the founders of our beloved brand,” Kate Spade New York said. Since then, the brand has not posted any marketing on social media. Now it faces a new set of challenges in how it continues without its founder and namesake. “The tributes to Kate Spade show that she has a place in the heart of thousands of women around the world; as long as Nicola Glass and her team channel and reflect this outpouring of love into their designs, the Kate Spade brand has the potential to live on,” Florence Allday, a fashion research associate at Euromonitor, wrote in a blog post on Wednesday, referring to the brand’s creative director. Spade’s death has been compared to that of the fashion designer Alexander McQueen, who ran his namesake brand until his death by suicide in 2010. McQueen was replaced by Sarah Burton, who had worked with him for 14 years, starting as his personal assistant and later becoming head of womenswear. “The brand has gone from strength to strength,” Bowring said of Alexander McQueen, adding that Burton hadn’t strayed away from the concept, belief, or humility of her predecessor. Glass, who became creative director of Kate Spade last year, is now challenged with balancing “continuity and progression,” Allday wrote – meaning it must pay tribute to Spade, but also move the brand forward. Both Allday and Bowring said they were expecting minimal change at the brand, at least for the next two years. “It is a brand. It is established. It has many followers, admirers, loyal customers, an identity that not only is enduring, but is also nostalgic. Nostalgia plays a very large role in much of how we approach our lives today,” Bowring said in an email to Business Insider. The lesser-known brand is left without a creative director at the helm, and many customers are wondering whether it will continue to operate. Both the founder-information and press-inquiry areas of its website appear to have been taken down. A day after Spade’s death, all 25 handbags listed on Frances Valentine’s website appeared as sold out. However, it is the Kate Spade brand that has been in the limelight. Facebook/Frances ValentineFrances Valentine has a different aesthetic. It is a tragic irony that the brand that Spade was actually a part of at the time of her death may not have the lasting power to honour her legacy. Some may never know this as they pay tribute to the Kate Spade brand. However, Frances Valentine may now have more room to take a different direction.